Notes: Local in woodland, parks, scrub, hedgerows, orchards and gardens throughout much of southern England and southern Wales. In Hampshire and on the Isle of Wight widely distributed in woodland. 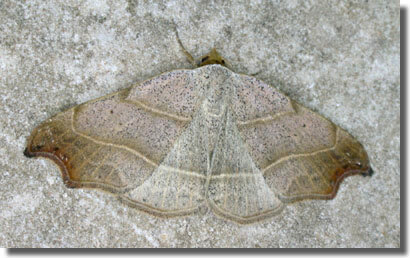 Wingspan 27-34 mm. 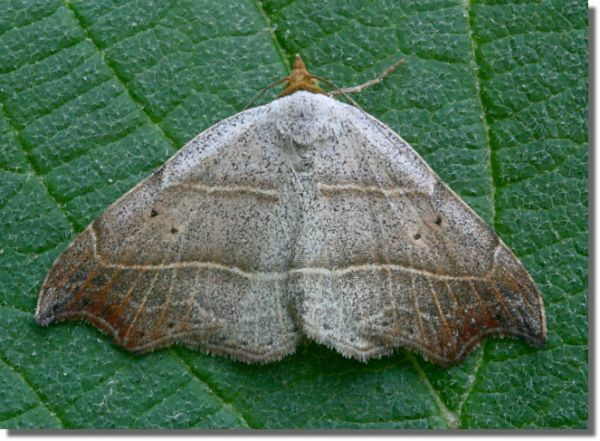 Differences in resting posture distinguish from the unrelated but superficially similar Scalloped Hook-tip Falcaria lacertinaria. 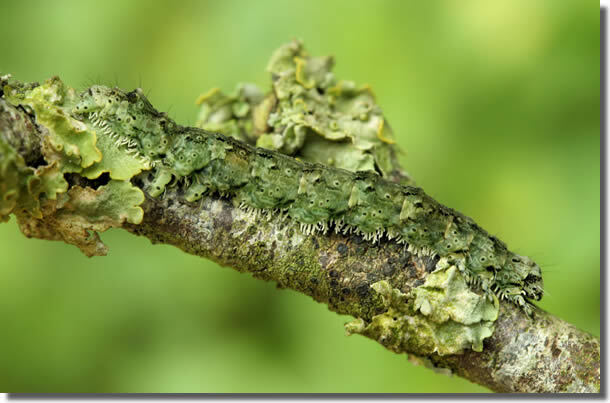 Larva feeds on lichens growing on broad-leaved and coniferous trees.